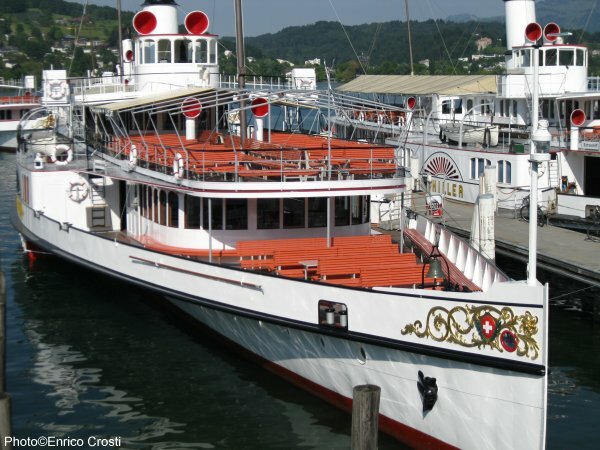 The Paddle Steamer Unterwalden has been classified as heritage of national importance. 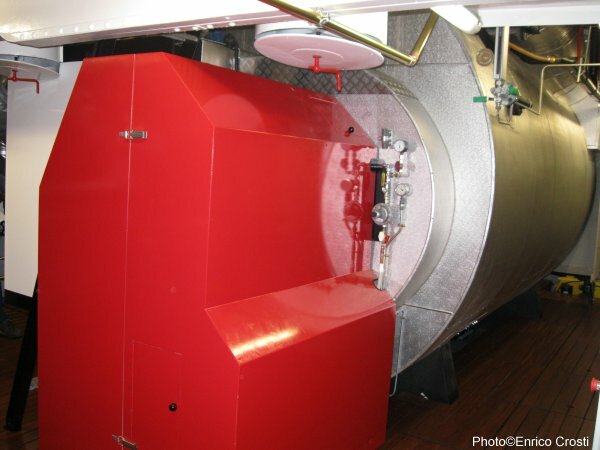 Paddle Steamer Unterwalden's boiler and its burner. 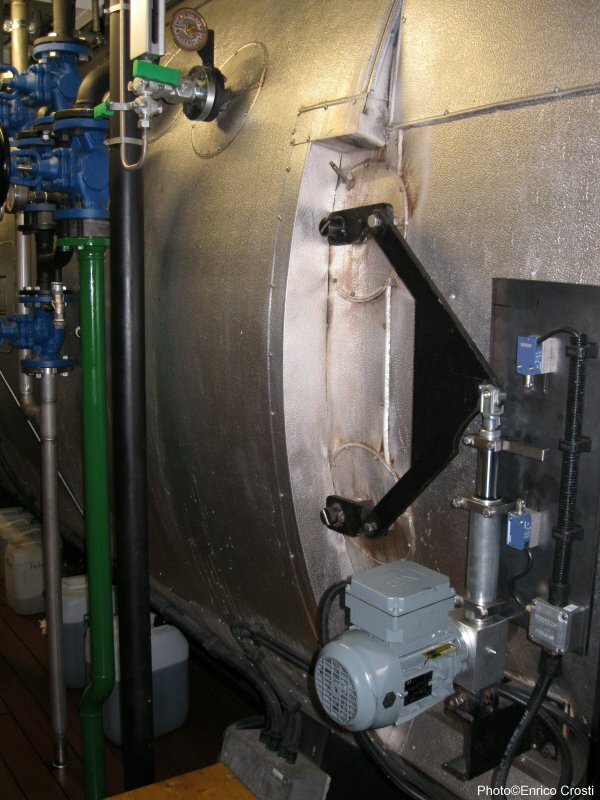 Paddle Steamer Unterwalden's boiler with the actuator for the steam superheater contol. 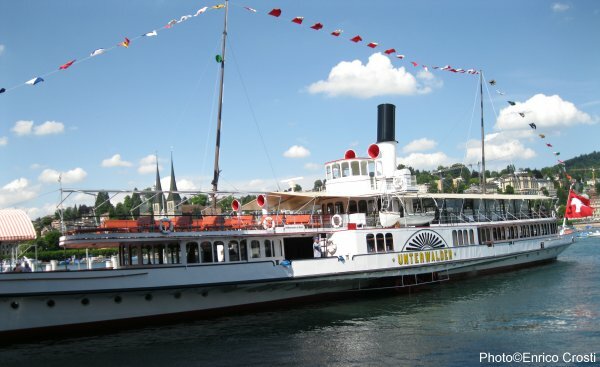 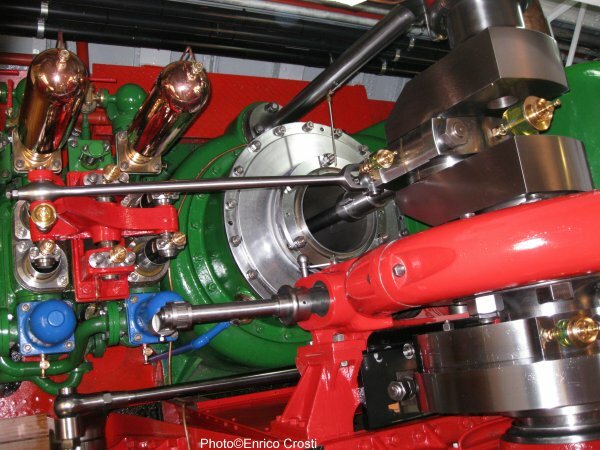 Paddle Steamer Unterwalden engine. 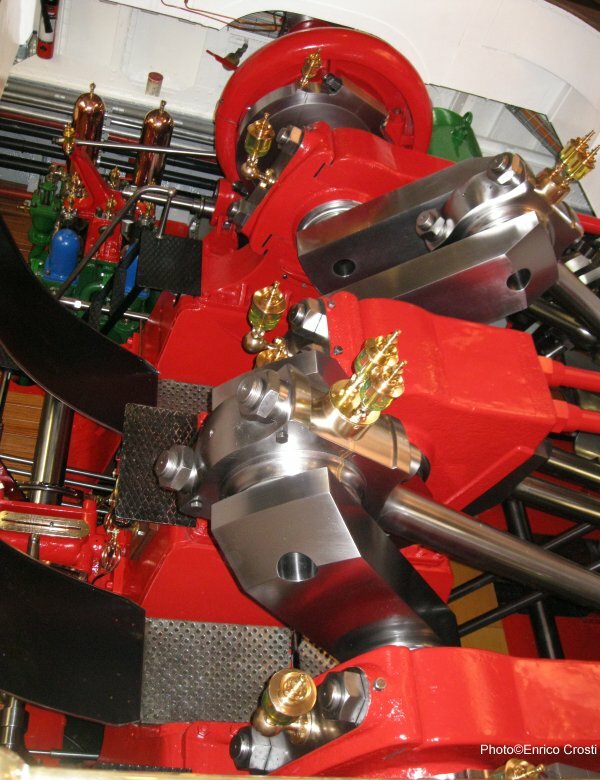 Leftmost is the feedwater pump, in the middle is the green air pump and under the red cover to the right is the barring gear.